Costumed guided sightseeing tour of Stirling's historic Old Town, below Stirling Castle. Discover the secrets of the Royal Burgh. The tour offers a hilarious mix of comedy, drama and storytelling with costumed local guides. Your guide will take you on a sightseeing tour through the old town, revealing some of Stirling's strangest tales. Scottish Thistle Award Regional Finalist 2015 for Best Outdoor Experience! Join a guided sightseeing tour of Stirling Old Town followed by visit to the mighty Stirling Castle. 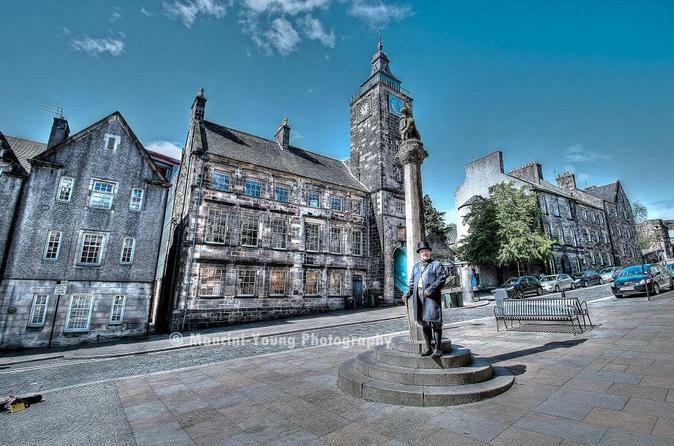 Discover the highlights of Stirling Old Town! 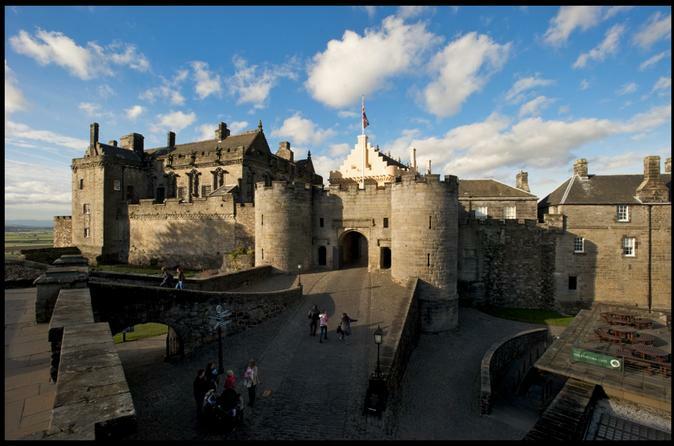 Led by Blue Badge accredited local guides, this tour offers a unique journey round the sites, stories and secrets of the historic Old Town you might otherwise miss.This is followed by a visit to Stirling Castle, arguably Scotland’s finest. Be amazed by the stunning stronghold of Stirling Castle, step back into the world of the Royal Court. The guide will give you an introductory tour of the Castle and then leave you to explore the world of renaissance Scotland and the Royal Court.